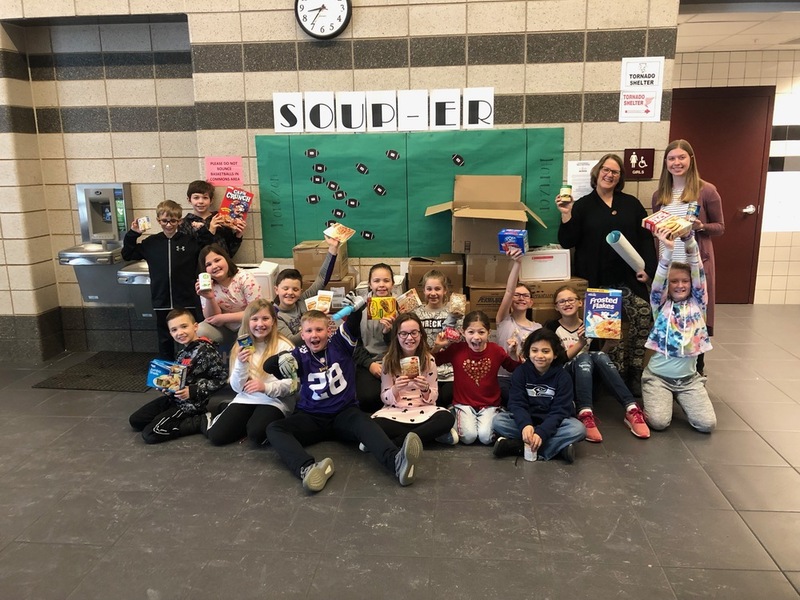 During the week of January 28th- February 1st, Horizon Elementary celebrated “Soup-er Bowl Week.” The Student Council challenged students to bring in canned or boxed food items for donation to our local food pantries. It is important for our learners to have conversations about the sense of pride we feel when helping others in our own community who are in need! The food will be donated to Feeding South Dakota and other local food pantries.